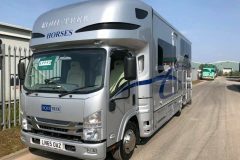 Stunning PRB 7.5t full luxury! 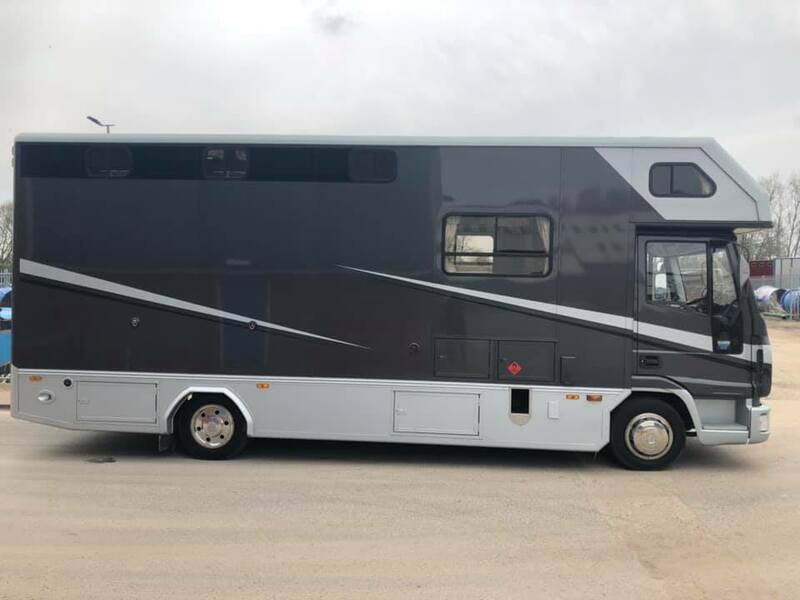 Coachbuilt to the very highest of standards in 2017 on a superb 180 bhp Eurocargo manual gearbox with only 34,000 miles. 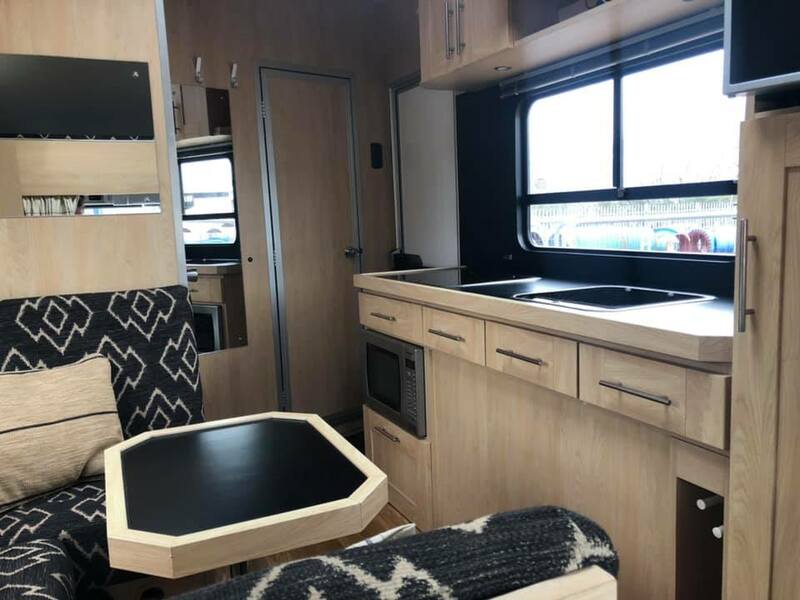 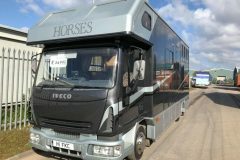 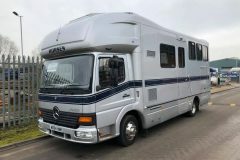 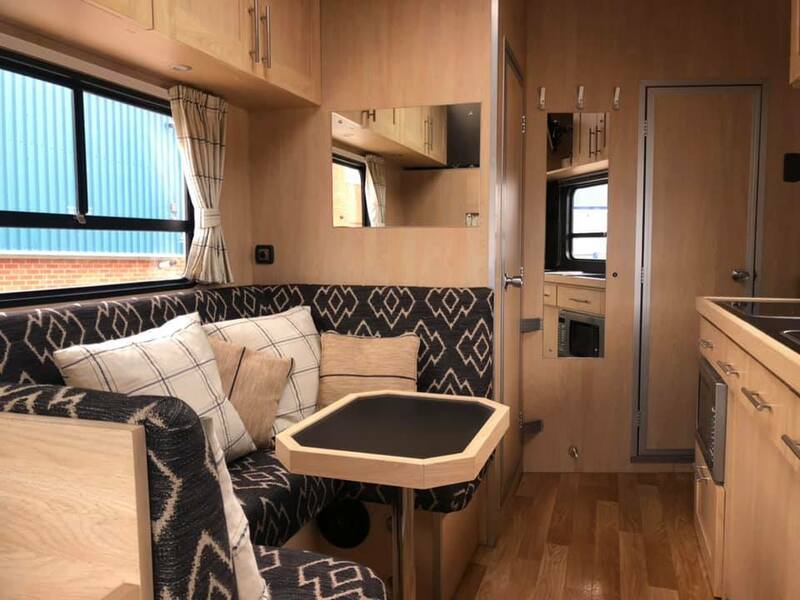 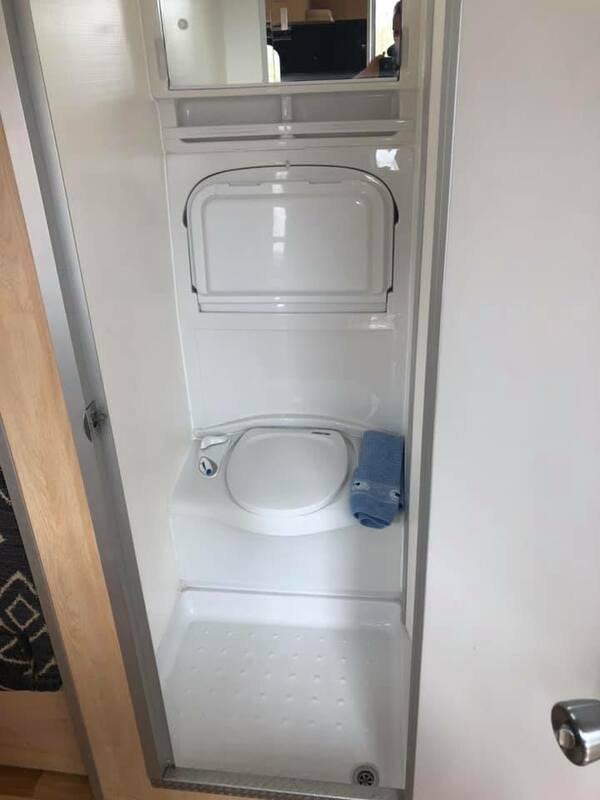 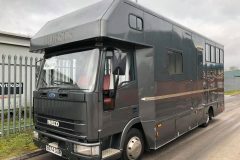 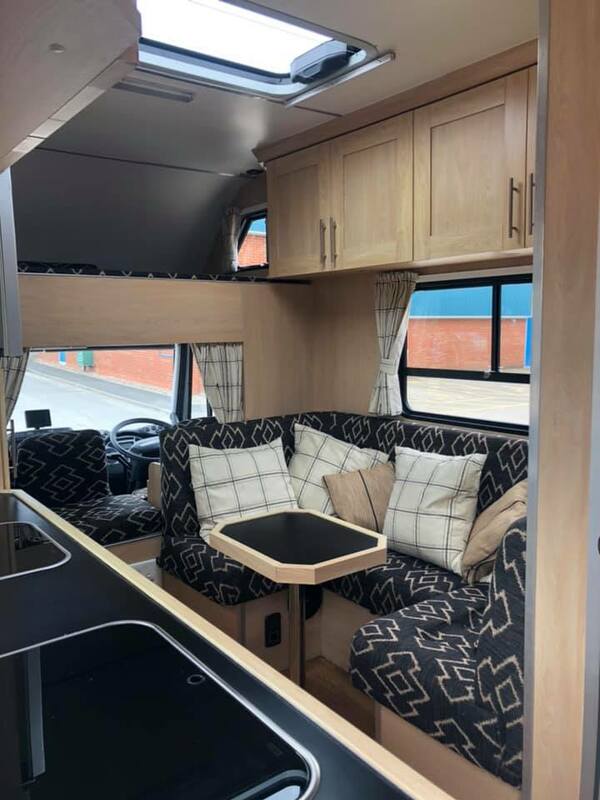 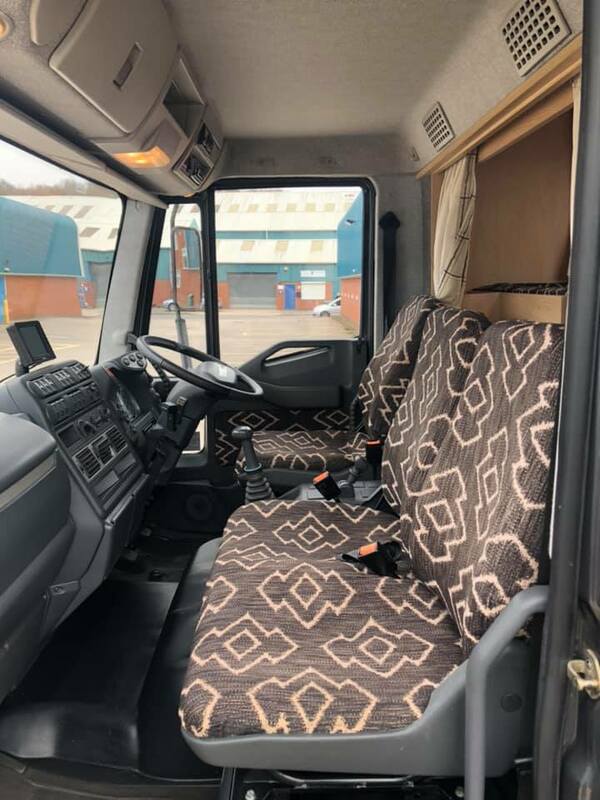 Huge spec includes a 19ft full aluminium coach built body, stalled for 3 (very roomy) with solid planked aluminium flooring, stainless horse area, loading light, rug rack, skylight, horse camera, easy ramp, 1450kg payload (certified) full shower room with electric flush toilet, sink & vanity unit, sleeping for four, remote start generator, blown air central heating, hot water, microwave, avtex tv & dvd, hob, sink, fridge, wardrobe, battery meter, 240v electric hook-up, water tank monitor, Luton windows, living area sound system, led lighting, wine rack, matching cab upholstery, hotsewash, large saddle locker into the living, reverse docking lights, external tie rings, skirt lockers, two tone metallic paint, reversing camera, cruise control and electric windows this is one of the best built Horseboxes you will ever see and is totally immaculate inside and out! 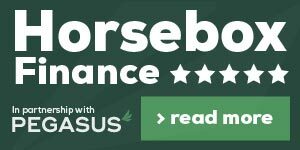 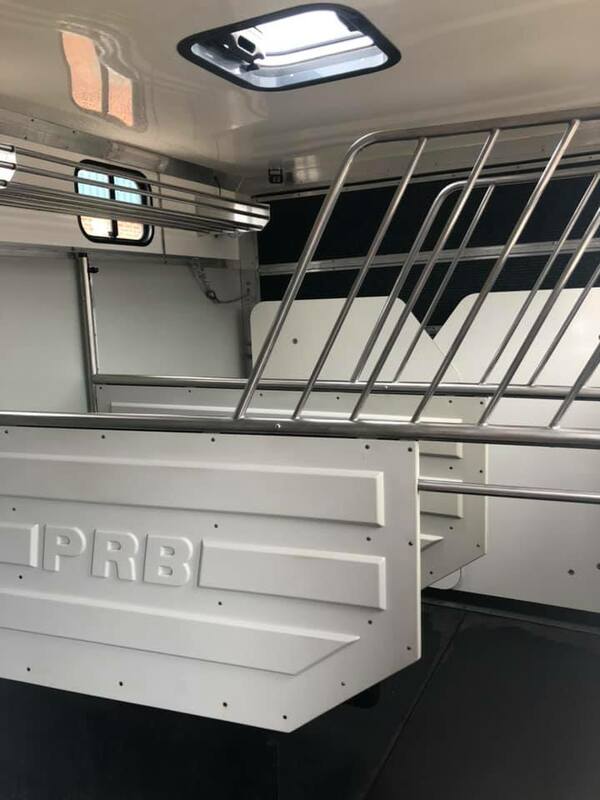 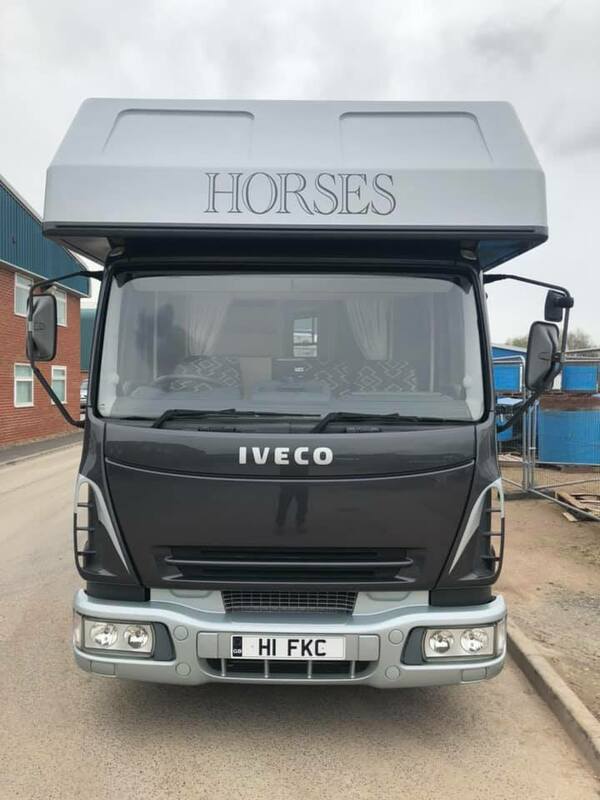 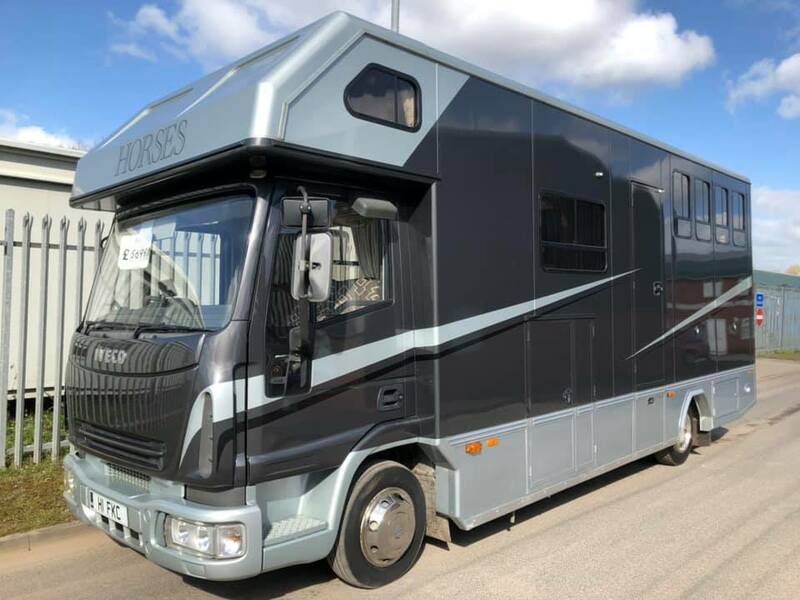 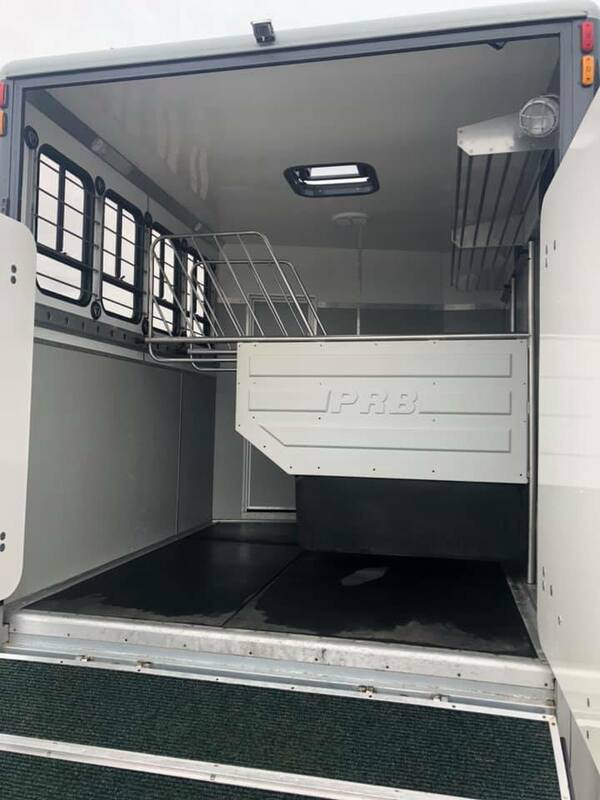 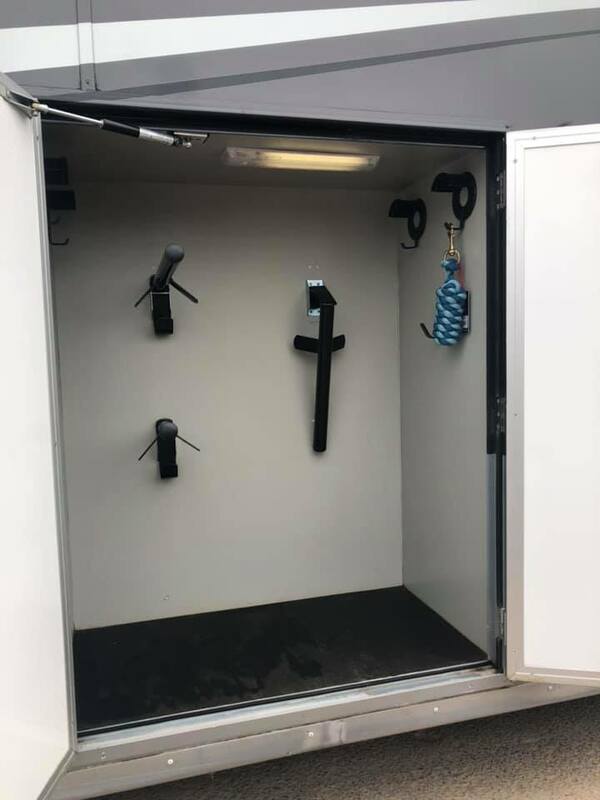 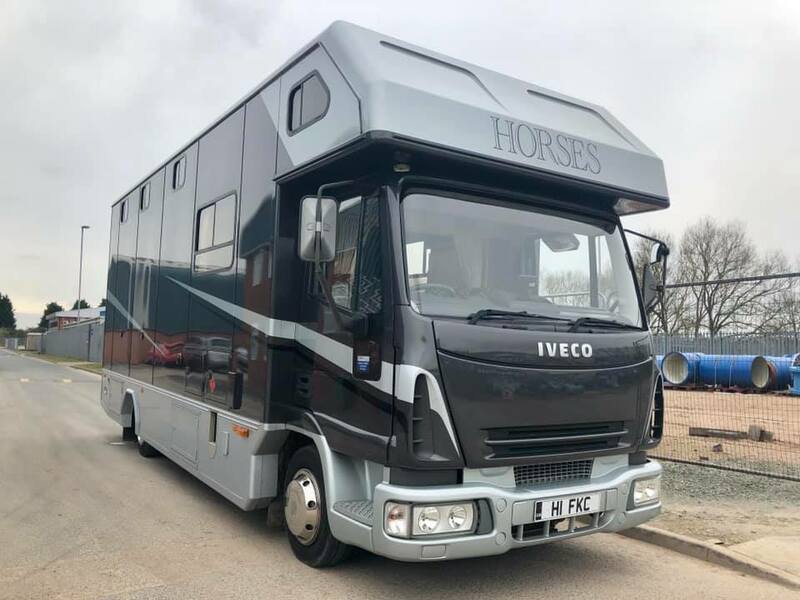 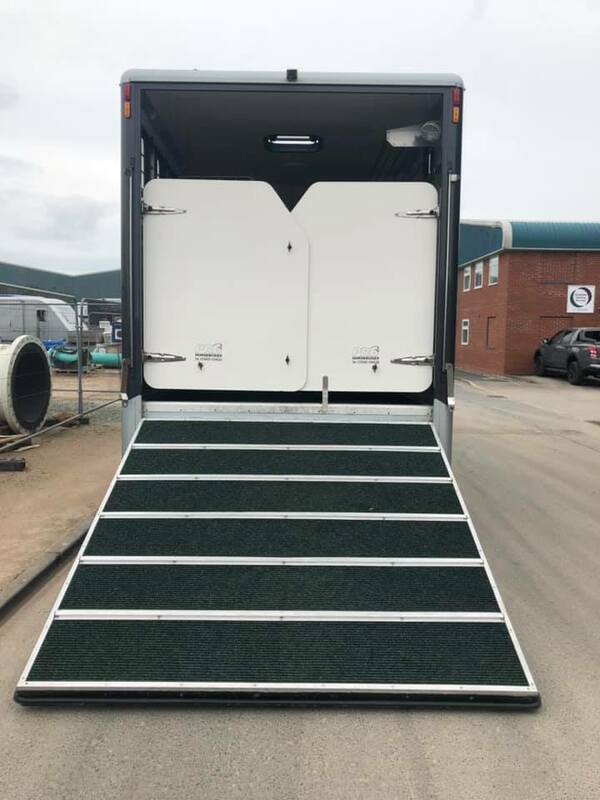 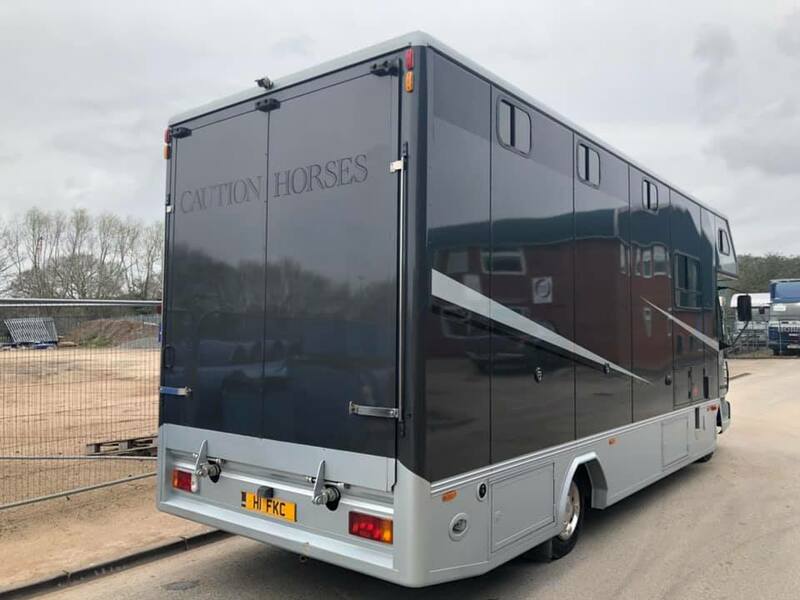 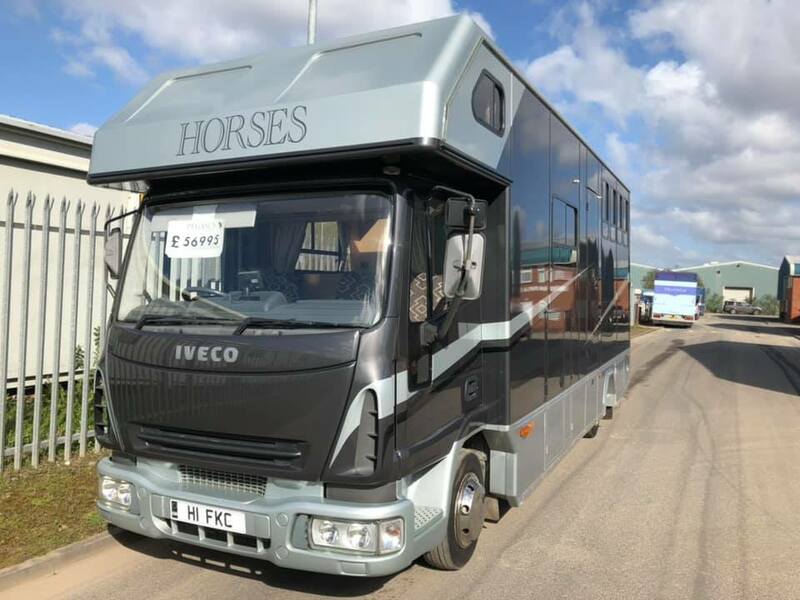 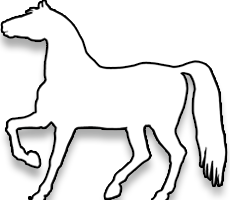 Fully safety checked and warrantied by Central England Horseboxes Ltd, Finance available, nationwide delivery a pleasure, HPI clear, all for £56995! 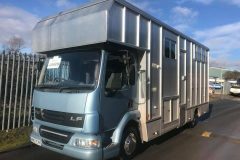 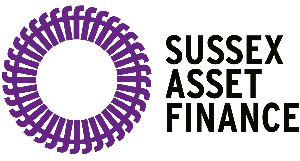 Call Luke Skidmore on 07828287515.